Raw honey has many amazing benefits and is natural and has high nutritional value too. When it comes to raw honey my personal experience is in a wide range of areas. I give raw honey with milk to my growing children and they are extremely energetic and sharp as compared to other children of the same age group in the colony. I take raw honey and lemon juice with warm water the first thing in the morning and have been able to reduce my weight also. Raw honey is a completely pure and natural form of sweetener that can add needed calories to your child’s diet. Aside from the nutritional benefits of honey, the sweetness of honey stimulates the taste glands of children as well as adults in my family. My six-year-old son would agree to have anything if I give him a toast with honey or even just a teaspoon of honey. Whenever anyone has cough or cold, raw honey with ginger juice soothes the infection in the throat and coughing calms down quickly. 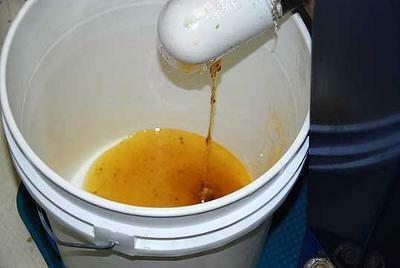 As you can see, there are lots of medicinal benefits of honey along with nutritional ones. The Old Testament peoples were always searching for a land "flowing with milk and honey." With their ancient clairvoyance, they were able to see the constructive forces within milk for babies and the constructive forces with honey for adults. They wanted a place where their families would be filled with glowing health, both in the babies and in the adults. From my own experience, the only time my mother fed me honey was when it was part of a medicine like castor oil. Not only did the medicine made the honey taste bad, but the illness states within my body were attached to the taste of honey and I was not able to put honey in my mouth again till I was over fifty years old. So I would caution against giving honey to sick children, especially if it is the only time they get it. The other caveat is to avoid giving honey to any child under a year old, as their bodies are not quite ready for honey. Honey is the only food with no shelf life, btw, as it will never spoil. Those people who decry the use of preservatives and extol the use of "raw honey" should know that each cell filled with honey has a drop of formic acid added to it by the bee as a preservative. I suspect the presence of the tiny amount of formic acid causes the adverse reaction by babies to honey, but I don't know that any research or evidence supports my conjecture. Join in and write your own page! It's easy to do. How? Simply click here to return to The Benefits of Honey.